Extra Features - 1 free! 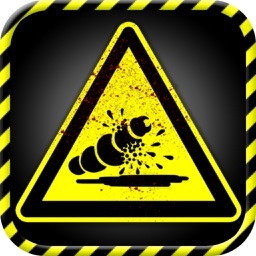 iDestroy makes it fun to break, kill and make stuff explode on your iPhone! 30 Updates with lots of additional free content every time since 2009, and more to come every month! 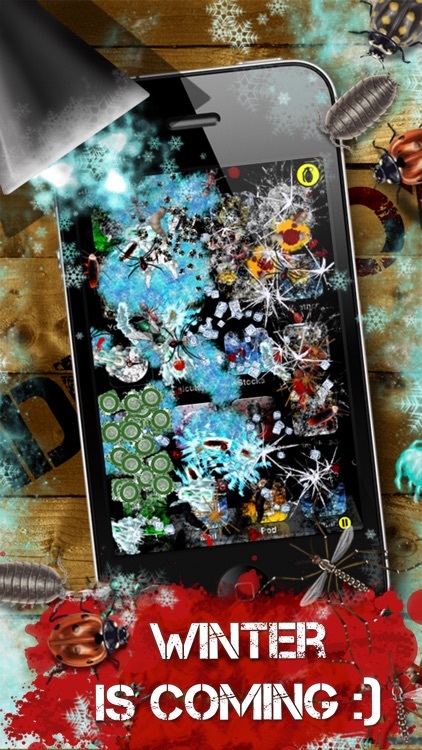 Shoot, slice, crush, and kill Bugs, Mosquitos, Flies - in total 13 different types of creatures with 60 different weapons! Machine Gun, Shotgun, Stones, Grenades, Shrink Ray, Flamethrower, Double- and Quad-Buzzsaws, Freeze Ray, High-Explosive Mines, Nuclear Bombs, Stealth Bombers ... it's all yours to play with! - Wasps - including their nests! - Spiders - including their nests! - Ants - including an ant hill! 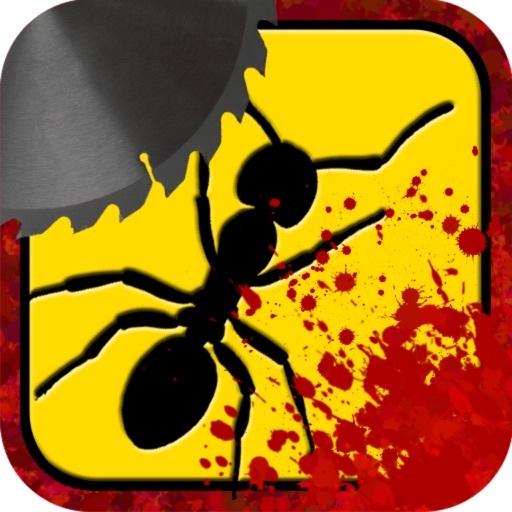 - Walls to build your own labyrinths to catch the bugs in! - Baits and Magnets to lure them into their doom! - In-game Shop for more wicked upgrades! 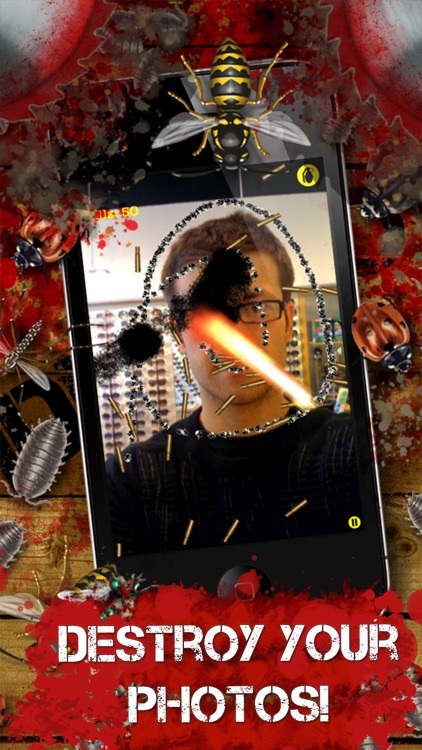 - Use your own photos as background for the destruction! Squash the bugs to tiny slimy bits with the Sledgehammer and laugh at their puny remains! 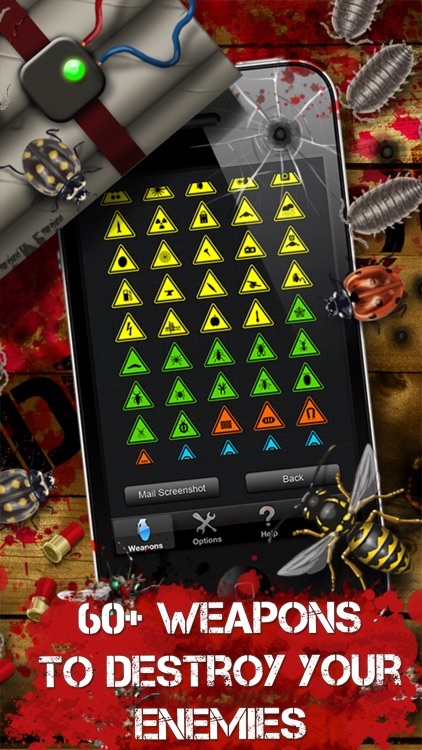 - Call in a Stealth Bomber to blow every bug in sight to smithereens! 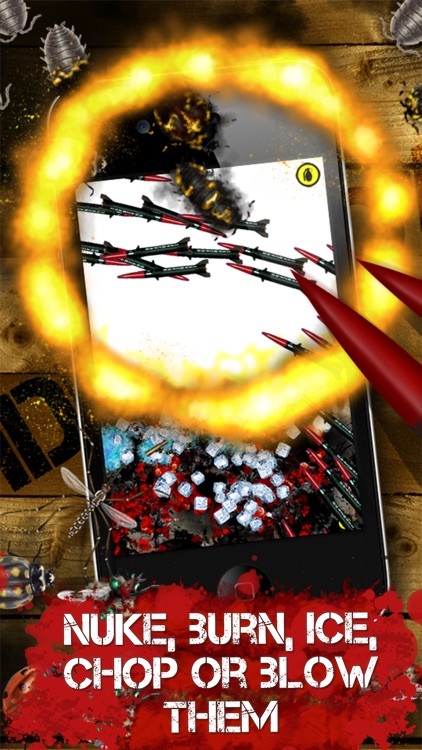 - Use the Machinegun with an incredible rate of fire and endless ammo to shoot holes through your iPhone! 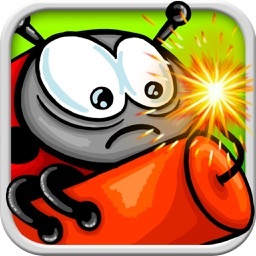 - Give the insects hell with a Lighter and watch them burn and scream! 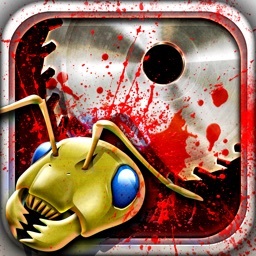 - Cut through the masses of bugs with the Buzzsaw - you can't be stopped! 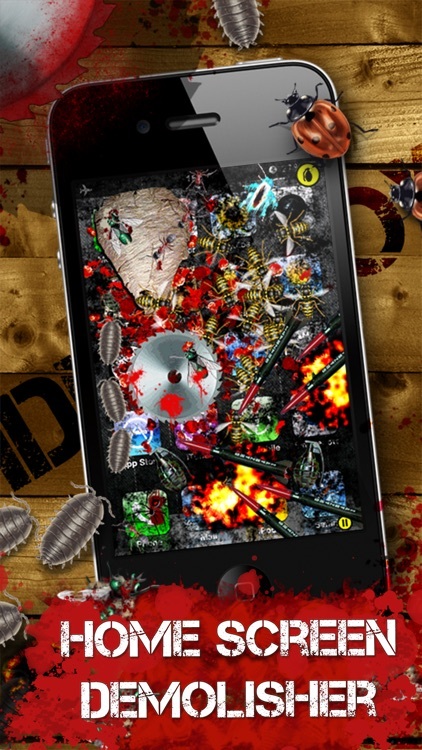 - The insects react to the way you are holding your iPhone - so you can let them run and fall directly into the blades of the Double Buzzsaw! 1. Go to your iPhone / iPod's homescreen. 3. Let go of both buttons and you should hear a camera click sound - the screen will go white for a second. If you don't get the sound and white screen, repeat steps 2 and 3 until it works. 4. 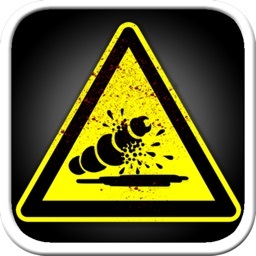 Now start iDestroy and start a new "destruction sandbox" game. 5. Go to the weapons menu (upper right corner, the yellow grenade) and in the following screen, tap the blue icon "custom background". 6. Your photos will be shown - the last of which should be your homescreen, pick that one. We would like to thank all the fans of iDestroy! 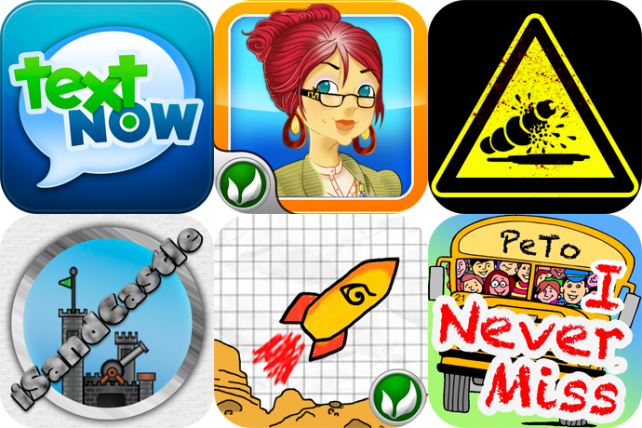 Today's list features a texting app that's compatible with all iDevices, a fashion game, a stress relieving entertainment app, and more.